Although it sounds pretty crazy, this is not a joke! There is actually a day designated to pretending to be a time traveler. The origins of this day are unknown but clearly it was created by someone who loved to dream, to pretend, and to learn in an imaginative way. Time travelers could go back in history to see what a certain time was like, what people wore, what they ate, what they did, etc. They could also be propelled into the future to learn about the advances in technology, travel, medicine, and just about anything else you think the future world might teach us. What do you think you will be doing this weekend? 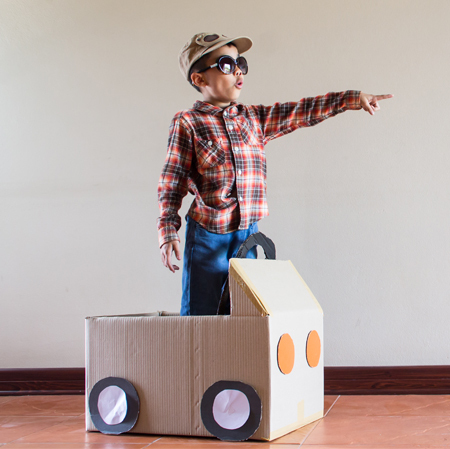 Invite students to put on their imaginary future caps and climb aboard the make believe “future-mobile” with you. Ask the students to imagine that they are in the future, about 15 years from today. What do they see? What do they hear? What are they wearing? What are they doing? Following the video, provide each student with paper and markers and ask them to draw themselves in the future, showing what they want to be when they grow up. Share and post. Even better, make your own “I want to be…” class video and share it with parents! What do you think time travel means? Do you believe that it is possible to travel back or forward in time? If you could hop aboard a time machine and travel back in time or into the future, where would you go and why? In what ways might it be easier or more difficult to live in the time that you have selected? Why? What year have you gone to in your time machine? Why did you choose this year? Where are you? Why did you select this place? Is it a real or imaginary place? What would I see if I was standing beside you in this place? What would I hear? What would I smell? Would you like to stay in this place or go back to the classroom today? Why? Once the interviews are complete, ask volunteers to share their experiences! If you could travel in time, where would you go, the past or the future? Why? Do you believe that time travel is possible, or might be some day? What are you basing your thoughts on? What would be some of the benefits of creating a time machine? What are some of the things you would need to consider if you were able to invent a time machine? Note: This activity could be a simple short one-lesson event or you might choose to tie it in with a Science and Technology project that could include drawings, models, “TED Talk”–style presentations, etc. Your choice! Here are some questions they might consider when planning their time machine. Will it have the capability to go into the future, the past, or both future and past? What fuel or type of energy does it require? What are some of the design considerations? Provide time (and resources if you wish) for students to complete their designs and then present them. Invite the rest of the class to ask questions following the demonstration. Post the designs and challenge interested students to explore the concept of time travel on their own and share any new information with the class.